Editors Note: The following are bonus photos from a story on Matthaei Botanical Gardens featured in the June issue of Michigan Gardener. To read the full story, pickup a copy of Michigan Gardener in stores now or read it in our digital edition. 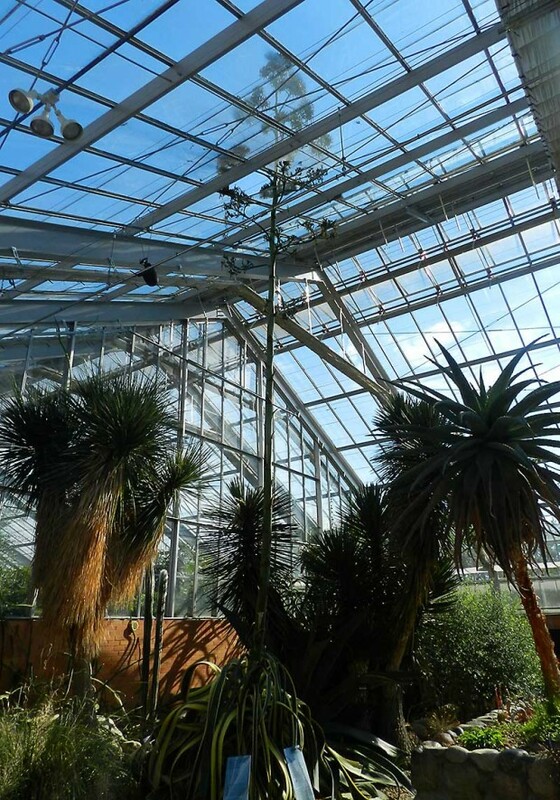 An 80-year-old agave bloomed in the summer of 2014 for the first, and last, time: agaves die after flowering. It grew to over 28 feet before sending out hundreds of flower buds. The plant will produce hundreds of seeds and enough genetically identical “pups” for other agave plants to begin growing. 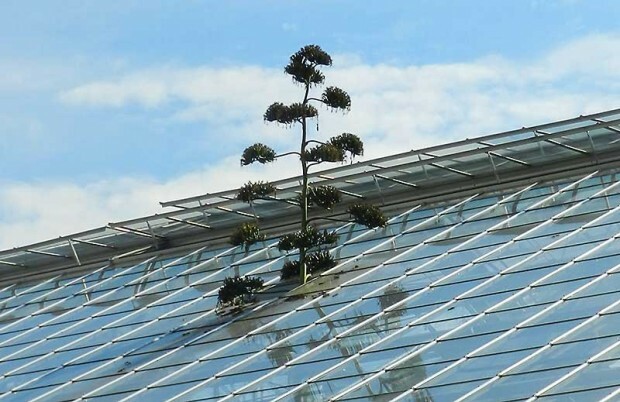 When the agave stalk reached the conservatory ceiling, workers removed a pane of roof glass to allow the flower stalk to continue growing. 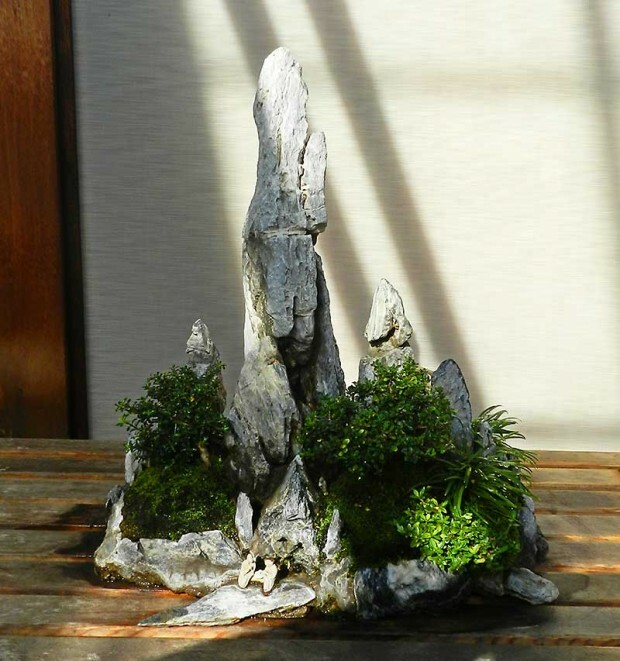 “Penjing is a more inclusive form of creating miniature landscapes developed in China. It can include rocks, water, representative landscapes or individual plants. Penjing compositions often include small figures—humans or animals—to give a sense of scale,” said Matthaei Director Bob Grese.